Newspapers aren't just for reading. They're also for drying shoes, wrapping gifts, sharpening knives, and wearing on your head. So there's no reason why you couldn't put makeup on them, too. It’s Makeup Time! 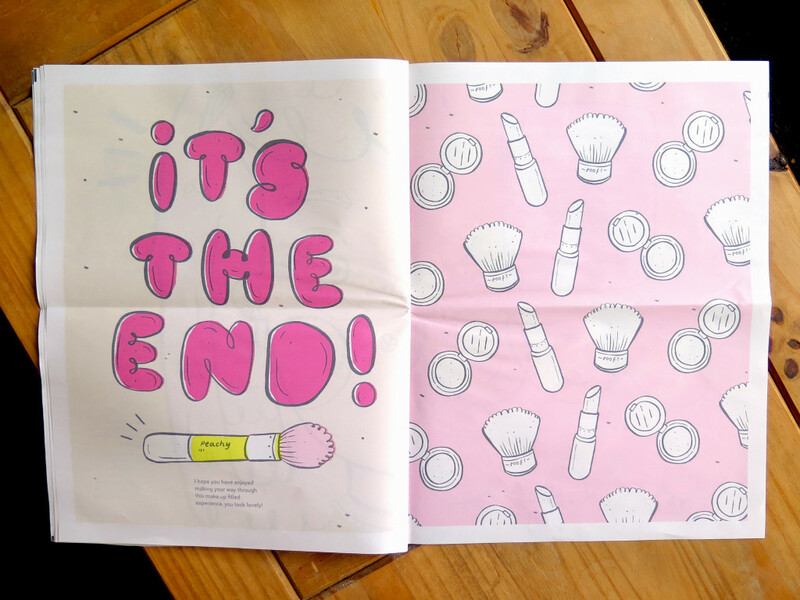 is a digital tabloid that's designed for just that – though crayons can stand in for lipstick and eyeshadow. "It’s Make Up Time! 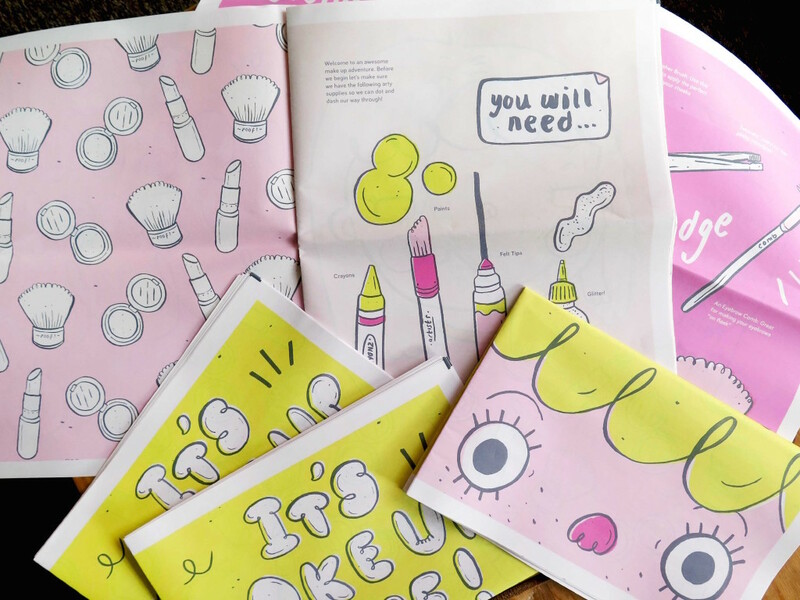 is a disposable activity book for a younger audience. 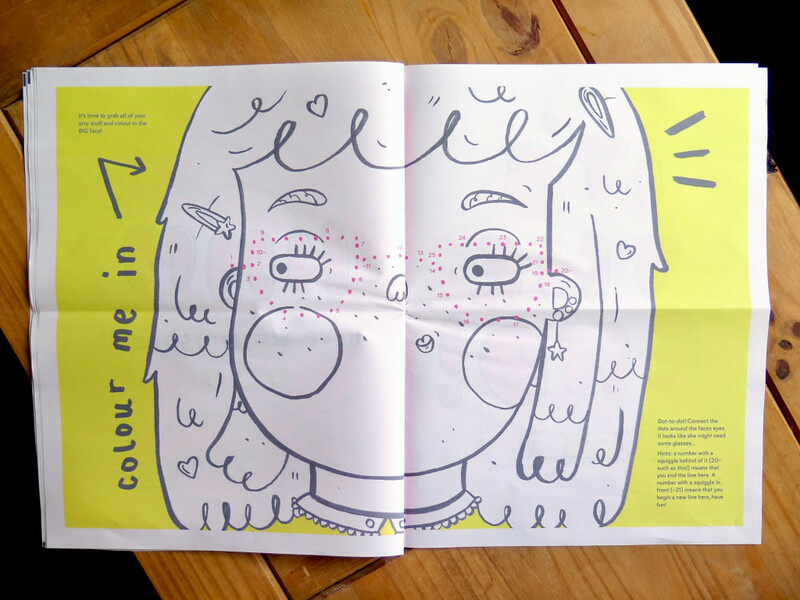 It features playful imagery with spaces for the reader to join in. From drawing on a funky hairstyle to coloring in a lovely big face – it’s a make up adventure!" 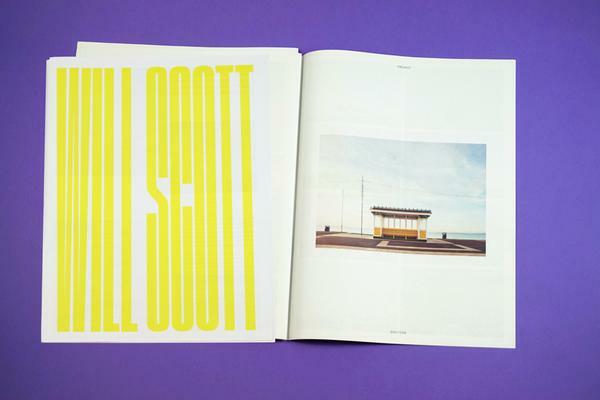 "The process began from a university brief – “dot dash”. I have always loved illustrating cosmetics and beauty items and considered the way people apply make up. 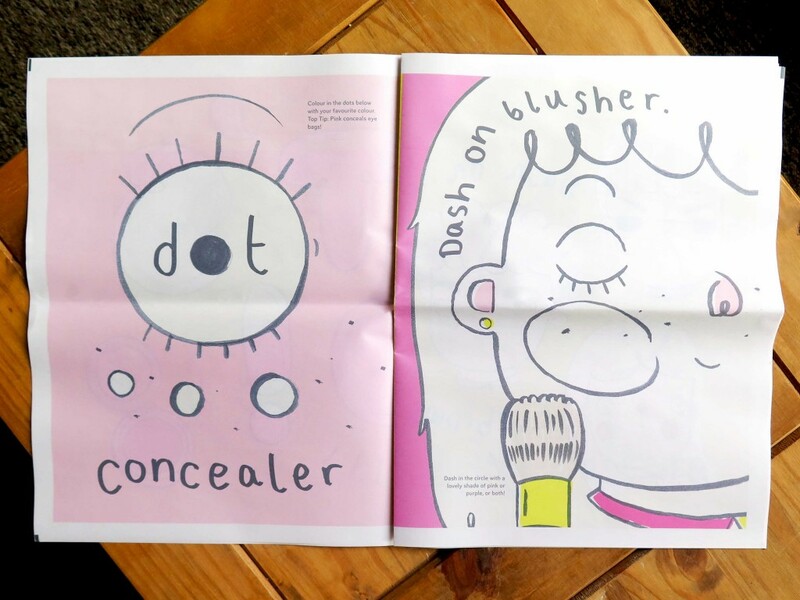 The way we dash on mascara and dot on our blusher all seemed to fit with the initial brief." 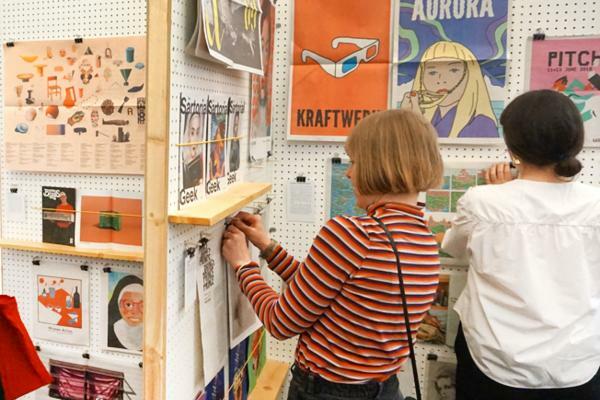 "I chose a newspaper format out of pure intrigue– I have always wanted to see my work in newsprint! The activity book quality worked hand in hand with the size of a tabloid." 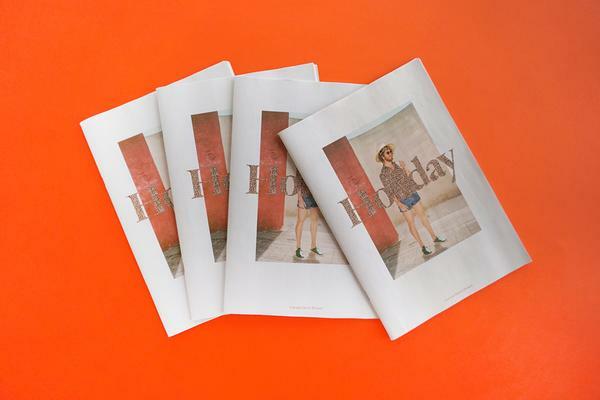 "Printing with Newspaper Club has been an absolute pleasure (never a chore). The site is easy to use and the InDesign templates make everything straightforward." 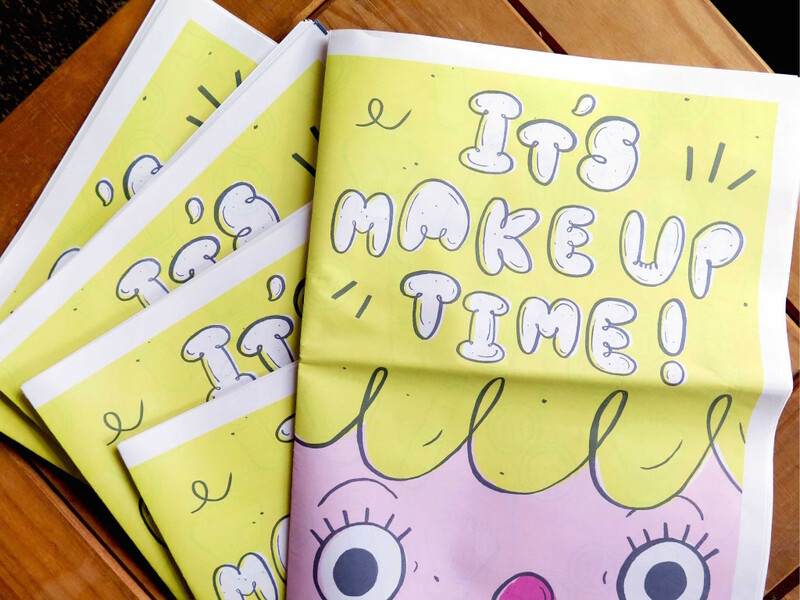 Pick up a copy of It's Makeup Time! in the The Newsagent and get doodling. You can also spy on Amy's works in progress on her blog and find her on Twitter and Instagram. Thanks for printing with us!